One of the most enjoyable ways to explore the coastline during the summer months is from a sea kayak. It’s easy to do and no experience is required. Paddle and explore the intriguing fjords of the Bay of Kotor. See the deserted Island of Mamula, the blue caves and the quaint villages of Zanijic, Rose, Risan, Perast and Kotor. Experience some of the most beautiful sceneries of the world. Prices for renting are for sea kayaks are around €5 per hour or €15 for half a day for a single-seater and €7/€20 for a double-seater. Prices for renting are for kayaks are around €5 per hour or €15 for half a day for a single-seater and €7/€20 for a double-seater. Thanks to the impressive canyons and crystal clear water, every kayaker will have the experience of a lifetime on the rivers of Montenegro. 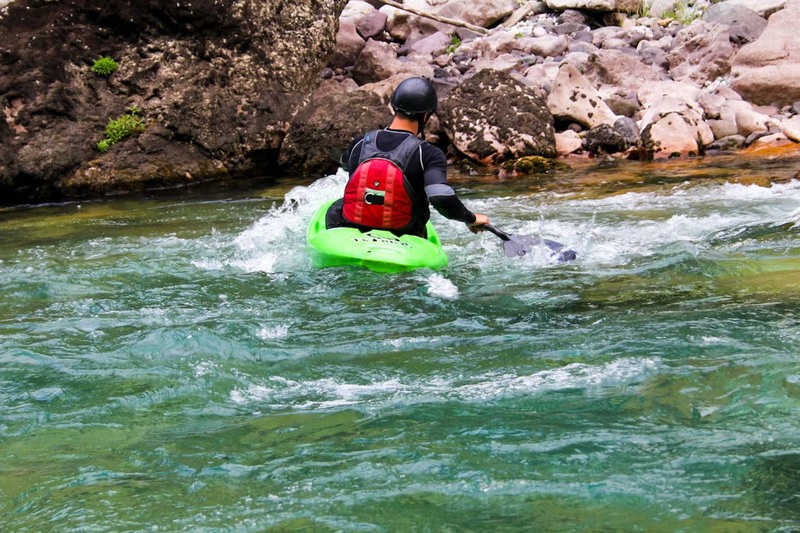 The nearly 500 km of rivers that flow through the northern region range from easy paddling to expert level rapids. Kayaking in Montenegro is an experience no one will ever forget. The river Moraca flows from the Montenegrin capital of Podgorica through a rugged to the rustic village of Redice where the gentle rolling water transforms into Level V rapids that are suitable for expert kayakers only. The river Lim has its headwaters in the picturesque Plavsko Lake where slow flows descend into canyons near the northern city of Berane where Level V cataracts abound. Expert level only. The river Tara is the most famous river in Montenegro. The spectacular and scenic river winds its way across the northern part of the country and was designated a UNESCO World Heritage Site in 1980. 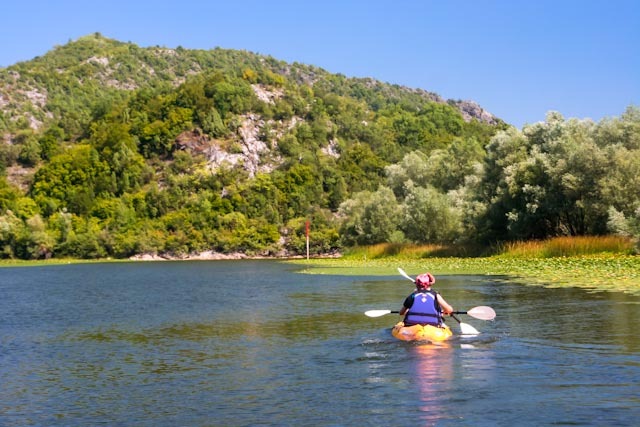 Trips along the Tara are usually 60 km and can be T paddled in a two days with the opportunity for an overnight in the Durmitor National Park or one of the many riverside rafting camps. Prices for renting are around 25,- euro’s for 1 day, 20,- euro a day for 3 day’s renting, and 15,- euro for 7 day’s renting.